Rangers to the rescue. What a riot! When one makes a rough-and-tumble, shoot-em-up about Texas it would seem that somewhere into the picture would ride the Texas Rangers. 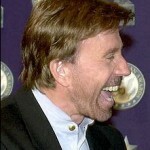 That is even if it is only “Walker, Texas Ranger,” as played by Chuck Norris. But while the storied law enforcement unit — more accurately the investigative arm of the Texas Department of Public Safety — might make for a good movie some wonder how well they will fare against banditos who don’t even pass their way? Certain local officials from the Mexican border areas of Texas are wondering the same thing. More precisely they are asking something akin to WTF? Gov. Rick “No One Has Hair As Pretty As Mine” Perry has ordered a special task force of Texas Rangers to the Texas-Mexico border. The governor has also asked President Obama for more National Guard soldiers — funny thing since Perry seemed to be pushing for Texas secession awhile back at Tea Parties — to combat Mexican drug cartel violence. 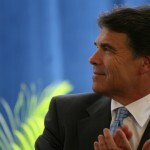 Then, there was that thing about Perry not accepting federal stimulus money for the state awhile back. Leaders of some local government entities along the border say, however, that the drug violence or other criminal activity from Mexico is not spilling over into Texas. 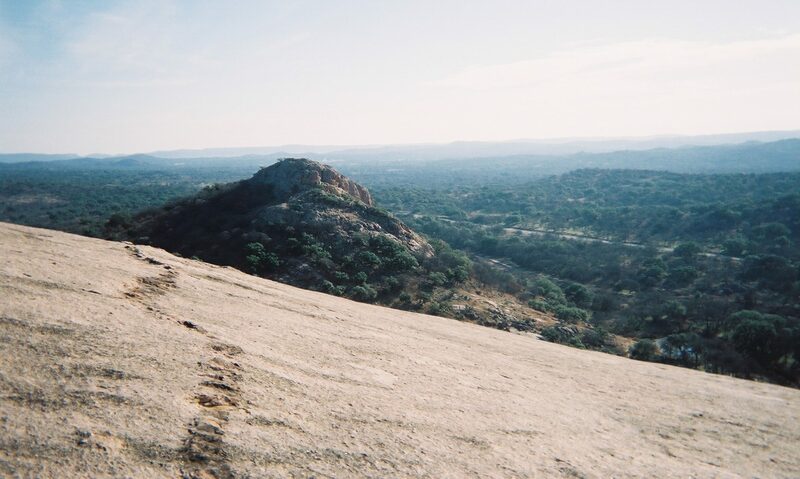 That Perry is seeking another term as governor and faces a vicious GOP primary battle with U.S. Sen. Kay Bailey Hutchison surely wouldn’t be cause for sending the Rangers to the border. Maybe he ought to send Chuck along for the extra manpower. That is, if secessionist Chuckles doesn’t end up running for governor (or president) of Texas. Don't like Texas law? Make your own. Perhaps one time in his life, Texas state Rep. Wayne Christian might have said: “There ought to be a law.” In any event the Republican lawmaker from Center, in the East Texas Pineywoods, managed to slip a provision through during the waning hours of the Texas Lege which benefits him and some of his beach-home neighbors on Hurricane Ike-wrecked Bolivar Peninsula. Christian pushed through an amendment to a bill that extended homestead tax exemptions on property damaged last year by Hurricane Ike until those homes can be rebuilt. That amendment allows Christian and about a dozen neighbors to rebuild on the beach, which skirts the Texas Open Beach Act that prevents people from building on beaches and which applies to everyone except Wayne and his neighbors should the legislation be signed. Being the stand-up guy that Christian is he skirted credit for the amendment because the bill was ramrodded by Rep. Mike “Tuffy” Hamilton. The Mauriceville Republican also owns a beach home on Bolivar although his property does not fall under the provision. Hamilton said the legislation benefits “99 percent” of his constituents, which is a rather peculiar statement since one of the three counties Hamilton represents has perpetually seen high poverty levels. Newton County had a 19.1 percent poverty level, according to the 2000 U.S. Census, and almost 38 percent of children 5 years old in that county live in poverty. It’s unemployment rate in April was 9.1 percent. Hardin County, another county in Tuffy’s district, was a little better off at 7.6 percent unemployment. Still, there aren’t a lot of beach homes being built, or rebuilt, by folks in those counties. Amen, Bro. Patterson, and the horse Christian (and Hamilton) rode in on. A replica of the boomtown that sprouted up with the beginning of the modern oil industry at Spindletop. Oil has become a touchy subject in these “green is great” days. I consider myself an environmentalist although I stop short of hugging trees. But I have to be honest that, like many Americans, I have a definite love/hate relationship with the oil and gas industry. That industry, while causing much of the pollution problems we deal with, has also made our life much easier not to mention it is next to the global communication explosion the reason why the Earth has become increasingly a global village. Sorry, perhaps it isn’t the best picture to use the word “explosion” when talking about the oil and gas industry. The greed of some, but certainly not all, in oil and gas is next to pollution the facet of the industry that makes it most unattractive. I have friends and family members — none of which are greedy or that you’d know — who have made a good living from oil and gas in one form or the other. Honestly, I don’t know how much money I have made off inherited oil and gas leases and royalties over the past 25 years, certainly several thousand dollars and probably more. It is with that long preface explaining my complex feelings about oil and gas that I begin what would otherwise have been a short post about visiting a local landmark in the town in which I live and my reasons for doing so. After living some five years in three different incarnations in Beaumont, Texas, I finally visited the Spindletop Gladys City Boomtown Museum. There are two things Beaumont is famous for, well three if you include the World’s Third Largest Fire Hydrant. One is that it is the birthplace of the greatest woman athlete of the 20th century, Babe Didrikson Zaharias. But even more so it is famous for Spindletop, a “hill” (when you live at 16 feet above sea level it doesn’t take much to make a hill) south of what is now Beaumont where the modern oil and gas industry began on the morning of Jan. 10, 1901. My reasons for visiting are simple. First, I was in search of something to do. Secondly, I believe one needs to eventually see all the landmarks one’s town has to offer. Finally, it only cost $3 to get in. Austrian-born Capt. Anthony Lucas knew the aforementioned area had oil and so after gathering some investor money from several folks including money bags Andrew Mellon, Lucas got the best rotary drillers money could buy. The drillers, however, hit rock at 1,060 feet and stuck their drill. While trying to remove the drill, the so-called “Lucas Gusher” spewed out of the well and up to about 100 feet in the air. Some 80,000-to-100,000 barrels of oil per day flew through the air over the nine-day period the gusher gushed before finally being capped. The boom was on. Everybody and their dog was forming oil companies and drilling. Businesses sprung up like those represented in the little replica town at the museum. One I had not known about was Broussard’s Livery. Being that they had horses and buggies, they were already equipped for what is always a necessity, a funeral home. Today they use Cadillac hearses at Broussard’s Mortuary. A number of other companies started up at Spindletop as well, like the Texas Company, J.M. Guffey Petroleum Co., Magnolia Petroleum and Sun Oil. The former companies became Texaco, Gulf, Mobil (now ExxonMobil) respectively and of course the latter Sun Oil Co.
Fortunately, some of these replica buildings have air conditioning in them, which are surely useful here where it can get kind of hot and humid. They have a lot of interesting relics in the museum, not just oil and gas related but an old camera collection, vintage printing presses and old mercantile of the kind one would buy in a boomtown provided one had not spent their last red cent on rotgut whiskey and a ride at the local harlotry. If you ever find yourself in Beaumont and you are not just passing through or come to the area to rebuild or reroof homes from yet another hurricane, you should check out the Gladys City museum. I think each year on the day the gusher blew a reenactment is staged using hot, boiling oil. No, not really, I think maybe it’s water.